Traditionally speaking, prior to release, almost every sequel coming out of Hollywood has the words ‘bigger’, ‘better’ and ‘darker’ ascribed to it as studios look to iterate on the core ideas of the predecessor in question and steer the IP in a slightly different, yet familiar direction. 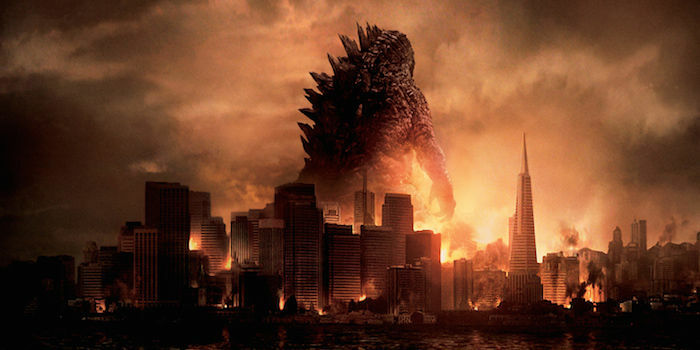 For Legendary’s Godzilla 2, screenwriter Max Borenstein – who is back on board to pen Gojira’s next monster mash – revealed that the company is indeed gunning for a bigger and better feel, which will in all likelihood involve cult favorites such as Rodan, Mothra, and Ghidorah. Speaking with Collider whilst promoting the upcoming Minority Report series, the scribe merely hinted at what we can expect in the 2018 follow-up. No, I’m doing it. I’m writing it now, and it’s really going to be great. I don’t want to go off book and tell you anything that I’m not allowed to tell you. The response to the first film was really exciting, but now that that world is established, we can do bigger and even better things. We’re really stoked. With an international haul to the tune of $500 million, Edwards’ first stab at Godzilla proved to be a successful, if divisive hit. With the titular alpha predator only on screen for a mere 11 minutes, long-time fans of the King of Monsters were left slightly underwhelmed by not only how camera shy he proved to be, but the lack of memorable villains for our titular protector to lock horns with. Going off of Borenstein’s comments, we’re hoping both he and Edwards have a bigger sandbox to play in next time round – aided by Toho loosening the licensing agreement when it comes to those aforementioned monsters. Further in the interview, Borenstein concluded by adding how excited he is to reunite with the director for 2018’s creature feature. Yeah, I hope. He’s making Star Wars right now, so he’s a little preoccupied, but yeah. Gareth is amazing. It’s exciting to get to work with him again. One of the fun things about that experience is the same fun that it’s been on [Minority Report], where you really get to have your fingers in the pie. Gareth Edwards will return to helm the undisputed King of Monsters when Legendary’s Godzilla 2 opens in theaters on June 8, 2018.